Define the value of honesty in your words? Being an honest person – it defines everything you are as a person in my mind. It provides a baseline of behavior that promotes a whole set of values: trustworthy; authentic; fair; sincere; genuine. It’s very hard to achieve those things without a foundation of honesty. When my parents started the company, they absolutely started it with the baseline of honesty. It wasn’t something they wrote down or had posted on the wall – it was the way they lived their life, and present in absolutely all aspects of the business. What is the significance of this core value in your role? As a kid, I grew up in the hotel my parents were operating – we observed their work ethic day in and day out as a fundamental part of our upbringing. We saw and felt the core significance of this value each day, in our engagement with team members across the board, with every vendor and every guest. Values set the foundation for how we do business – and honesty was and is that core. In the 37 years I’ve worked at Chesapeake Hospitality, values continue to be at the center of every aspect of our business. Now, as then, even when it’s not plastered on, the wall - the decisions we make naturally day to day are forged from the values that make this company what it is. How can a clear understanding and consistent adoption of this value benefit a company like Chesapeake Hospitality? Internally, it’s the foundation of our culture. It gets into fairness, how you treat others in the company. Ultimately, this leads to a company where people want to come work, and that’s an absolute difference maker. Externally, you can’t create long-term business partnerships with vendors or customers without honesty. Period. Can you describe a clear example where honesty made a difference in a project or company initiative? This value can be critical in dealing with employee and management issues. We’re a company of 3,000 employees. We have a lot of GMs at 35 different hotels that are operating somewhat independently. We want entrepreneurship, we want each property to take a degree of ownership, and we do give properties leeway to deal with certain issues. Occasionally, we can have a challenge where we missed the ball, and an employee was told something and it was not correct. You’ve got to have enough fortitude to say this isn’t how we do business. For our clients, when we’re interviewing clients – we need to give the honest truth about where a project will go. Honest conversation about challenges and setting expectations is critical to long-term success. How has this value made a difference in your development? Across the board, relationships are core to business – and honesty is core to any lasting, sincere and meaningful relationship. If you’re not honest, you’re not going to have long-term relationships. You’ve got to be reliable, fair; all those things work together. 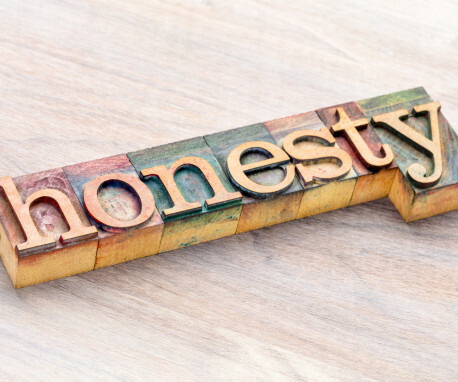 Honesty is the foundation to values – to long term relationships and, therefore, to business. How does honesty integrate with Chesapeake Hospitality’s other values? Honesty is telling truth to others, whereas integrity is being truthful to yourself. Then, from integrity comes humility. If you’re truthful with yourself in assessing strengths and weaknesses, in evaluating your own self-worth and importance, that’s humility. You look at yourself truthfully – faults and strengths. My father used to tell us, don’t think you’re any better than anyone else, ever. You have your own challenges, they have their own challenges, we’re more the same than different. That’s how I see our core values working together: honesty, integrity and humility.